According to GayRussia*, the city authorities have banned this weekend's Slavic Gay Pride March, using an obscure law that says public events are not allowed near underground pedestrian crossings and metro stations. According to GayRussia*, the city authorities have banned this weekend's Slavic Gay Pride March, using an obscure law that says public events are not allowed near underground pedestrian crossings and metro stations. On May 8, organisers received notification of the ban signed by the deputy head of Minsk City Executive Committee Mikhail Titenkov, who is notorious for banning all public events of LGBT community in Minsk. And the co-organisers described the reason for the ban "absurd". The letter from the Minsk authorities cites Article 9 of the Law of Belarus Republic on the staging of public events which says that "public events are not allowed at the distance of less than 200 metres from underground pedestrian crossings and metro stations". Mr. Titenkov stressed that "due to the above, Minsk City Executive Committee does not allow the conduct on 15 May 2010 from 3 to 5 pm of a street march from the square in front of Belarusian State Philharmonic via Prospect Nezavisimosti to the square in front of the National Academy of Sciences of Belarus." "The decision of the authorities to the ban of the march will be appealed in court," Sergei Androsenko, a co-organiser of Slavic Pride, said this afternoon. "We are ready to take this case up to the United Nations Human Rights Committee." "Apart from that we are not going to surrender and are still planning to go on the streets in order to attract attention of the society and authorities to the existing discrimination of homosexual people," he added defiantly. "Currently, Slavic Pride Organizing Committee is considering two options for the event on 15 May – to protest either in front of the Minsk City Executive Committee or next to the Presidential Administration. The final decision will be taken on the eve of the event," Mr Androsenko concluded. Russian co-organiser of Slavic Gay Pride, Nikolai Alekseev, said today that "the decision of Minsk authorities about the ban of our event is absurd. "There have been many marches and parades in the past using the same route. And the proximity of underground pedestrian crossings and metro stations was not an obstacle for allowing such events," he pointed out. "The application for the march was sent to the authorities on March 4. The organisers clearly said that they are ready to change the place and time of the event. The authorities had enough time to give their reply earlier in order to find a solution for the conduct of this action in a different location." 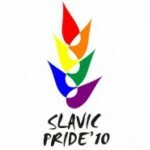 Mr. Androsenko added: "The Slavic Pride Organizing Committee appeals to the international community with the request to support the forthcoming Slavic Pride and condemn the decision of Belarusian authorities to ban the event as it was done in relation to Baltic Pride in Vilnius". Slavic Pride movement was founded in autumn 2008 in Minsk. The first Pride took place in Moscow on May 16 last year and coincided with Eurovision Song Contest. Moscow authorities banned the event and dozens of activists were arrested by militia. The second Slavic Pride will take place in Minsk on May 15. The decision about the same event in 2011 will be taken by the Organizing Committee shortly. 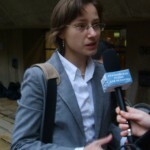 Foreign Policy has published a list of the World's Top Dissidents that includes a person from Belarus: Iryna Vidanava, founder and editor of the multimedia youth magazine 34. It is understood that 34 is the revived multimedia version version of Studenckaja Dumka, a Belarusian language youth magazine that has earlier been banned in Belarus. Mrs. Vidanava's will to revive and to continue the magazine's existence in the difficult Belarusian conditions is indeed worth the highest admiration. Repressions from the Belarusian officials force 34 to be proactive and to seek new modern forms for it. As a result, 34 is a product of much higher quality than any of the archaic and propagandist state media and is indeed a unique phenomenon in Belarus. It is strange, however, that Foreign Policy has ignored such well-known Belarusian dissident politicians as the 2006 oppositional presidential candidates Aliaksandr Milinkievich or Aliaksandr Kazulin. Kazulin has held a 52 days long hunger strike after being unlawfully arrested and sent to prison after the elections*. Zianon Pazniak, the exiled former leader of the Belarusian Popular Front, lives abroad since allegedly having faced murder threats in 1996. An other notable Belarusian dissident is Ales Bialiacki*, head of the Belarusian Human Rights Centre Viasna. He was nominated for the Nobel Prize in 2006. Iryna Vidanava: Some former Soviet republics have made modest strides in liberalizing their political culture, but Belarus is not one of them. Minsk is infamous for its harassment and intimidation of local media and curtailing freedom of speech — both areas in which Vidanava has fought back forcefully. Vidanava is the founder and editor in chief of 34 Multimedia Magazine, a publication aimed at promoting creativity, dissent, and democratic values in Belarusian young adults. It's tough going: After years of police harassment, in 2005 Minsk finally decided to simply shut down 34 Multimedia Magazine. Yet Vidanava perseveres. In 2007, she founded CDMAG, a multimedia youth magazine published on compact disc that won the 2007 Gerd Bucerius Prize for press freedom in Eastern Europe. Read the full article and visit the website of 34 Multimedia Magazine.